Around 200 pilots of embattled Jet Airways have written individually to its CEO Vinay Dube threatening to go on "leave of absence" and planning to take legal recourse over non-payment of salary dues, according to a source. 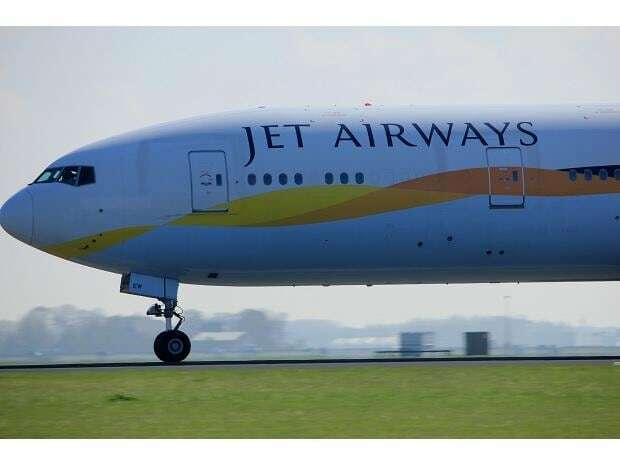 Cash-strapped Jet Airways, whose board has cleared a debt resolution plan, has grounded many planes and has also defaulted on repayment of debt, including External Commercial Borrowings (ECBs). A source in the pilots' community said around 200 pilots have written to the CEO flagging concerns about non-payment of salaries. The pilots are also members of the National Aviators Guild (NAG), the source added. Without providing the specific number, a NAG office bearer said that some pilots have written to the CEO in their individual capacities. Quoting a letter, the source said that a pilot has informed the CEO that he was planning to go on "leave of absence" starting from April 1. The pilot is also looking to take recourse to legal steps, including recovery proceedings against the company for salary, allowances and benefits, the source said citing the letter. On Friday, the NAG reiterated that its members would not be flying from April 1 unless their salary dues are cleared. Earlier this month, the NAG, a grouping of more than 1,000 Jet Airways pilots, decided that they would not fly from April 1 unless their salary dues are cleared by the airline. Cash-strapped Jet Airways has grounded many planes and also defaulted on repayment of debt, including ECBs. On Monday, Jet Airways' board approved a resolution plan formulated by SBI-led domestic lenders. Under the plan, lenders would take control of the airline and also make an immediate fund infusion of Rs 1,500 crore.